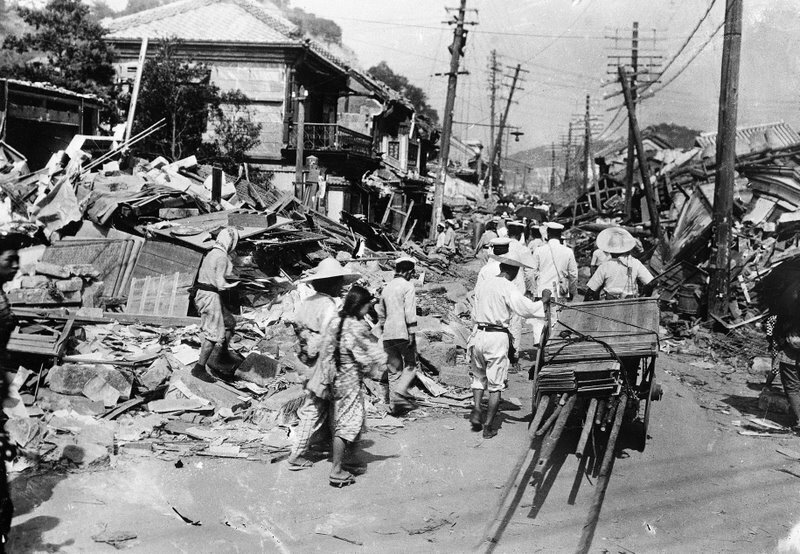 This earthquake happened on the main island of Japan called Honshu on September 1, 1923. This earthquake measured up to a 8.3 on the Richter Scale, about 3.6 Gigatons of force. The earthquake also managed to move a 93-ton statue of Great Buddha in Kamakura two feet. About 100,000-142,000 deaths occurred. Researchers later found out that the death toll was near 105,000. When the earthquake occurred, people were having lunch with fires to cook food. Some of the deaths were caused by the fires that broke out during the tremor. The fires also spread rapidly, due to a typhoon near the area. 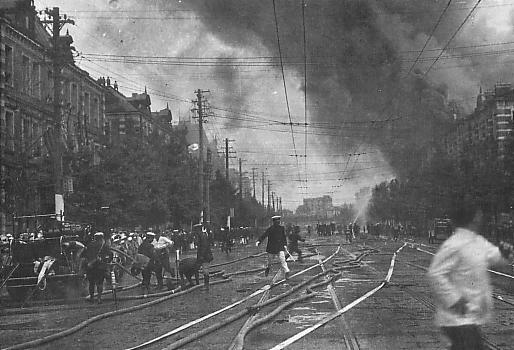 In one case, 38,000 people were instantly incinerated in Downtown Tokyo. The fires also caught the Emperors Palace, but the Prince was not harmed. It took two full days to put out the fires. On October 5, 1948, a 7.3, 100 Mega-ton earthquake hit near Ashgabat, Turkmenistan, which was the Soviet Union back then. 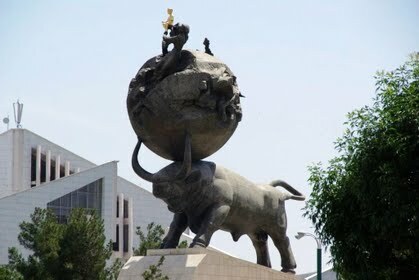 The earthquake caused extreme damage to Ashgabat and surrounding areas like Darrah Gaz, Iran. Multiple sources say that the death toll was around 10,000, but later releases in 1988 estimate the the death toll was above 110,000. Even later, in 2007, the State News Agency of Turkmenistan release a startling fact. The report estimated that over 176,000 people die during the earthquake. The earthquake killed future dictator Saparmurat Niyazov’s mother and the rest of his family, leaving him an orphan. 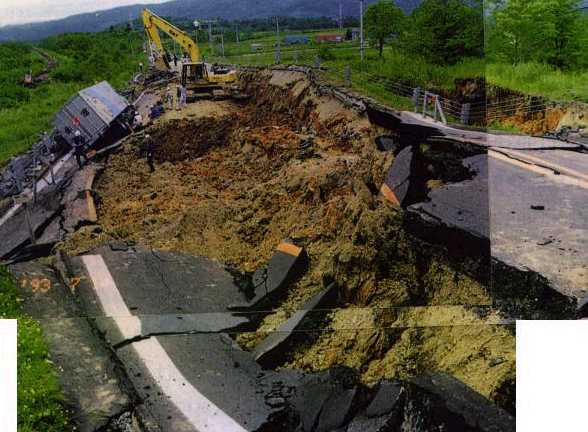 Some time in June, a 7.3, 100 Mega-ton Earthquake struck Hokkaido, Japan. Hokkaido is just on of the many island off the coast of Japan, although Hokkaido is almost half the size of Japan. This earthquake caused over 137,000 deaths and leaving multiple areas damaged or destroyed. This earthquake was the second earliest, seventh deadliest earthquake in world history. Ardabil, Iran was hit by this earthquake on March 23, 893. Approximate deaths tally up to 150,000 and the damage caused was over $25 Million. The earliest record breaking earthquake (December 22, 856) with a magnitude of 8.0,1 Gigaton of power. The earthquake hit the capitol of Iran at that time, Damghan. The tremors could also be felt throughout other areas surrounding Damghan. 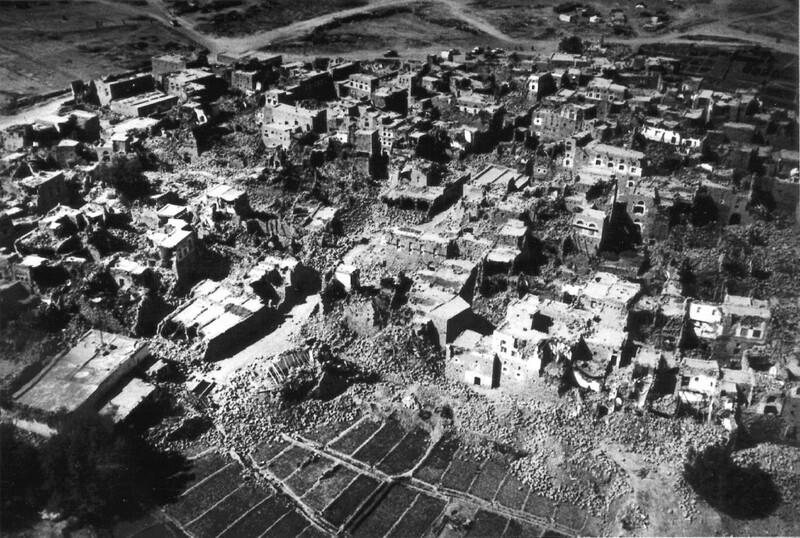 200,000 people were killed and surrounding areas were completely destroyed. Even though Damghan got the worst of the earthquake, Bustam, a surrounding town, was completely leveled. Even though the earthquake did not happen on land, the damage was still massive. The earthquake hit the Indian Ocean underwater on December 26, 2004. The magnitude of this earthquake was above a 9.1, over 32 Gigatonsof power! This seismic activity was the second highest magnitude ever recorded, but had the longest duration of tremors. More than 5 tsunamis hit bordering coastlines of the Indian Sea. 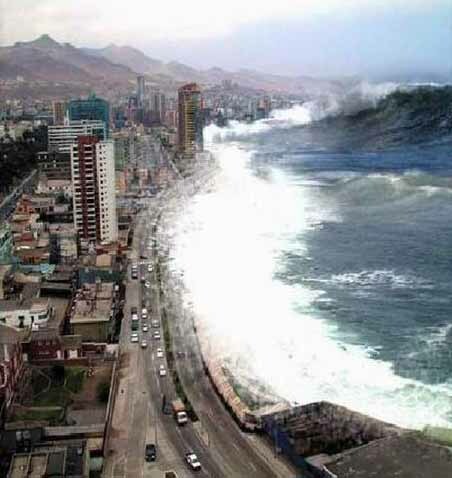 More than 225,000 people were killer or drowned in these series of tsunamis. Over $7 Billion dollars worth of rescue and damage was done during those 8.3-10 minutes, and this is only halfway to the number one deadliest earthquake in history. 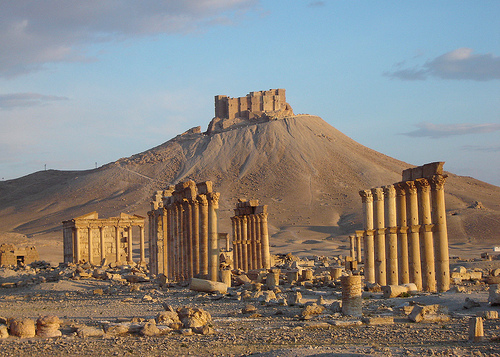 In norther Syria, in the town of Aleppo, a 8.5, 2.8 Gigaton earthquake shook the earth. The earthquake first started on October 11, 1138. A nearby church fell in on itself, killing 600 guards and citizens. The total death toll was 230,000. Many towns near this tremor were completely destroyed and had to be rebuilt. The city itself was also completely destroyed. 240,000 people were killed on the December 16, 1920 earthquake that hit Haiyuan County, Ningxia. The Richter Scale recorded this earthquake as a 7.8, 700 Megatons, but is still being discussed. Chinese Geologists believe that the earthquake could have been a 8.5, 5.6 Gigatons, instead of a 7.8. This earthquake was felt for over 125 miles and the aftershocks lasted over 3 years. It was also called the 1920 Gansu Earthquake because Ningxia was a part of Gansu when the earthquake occurred. 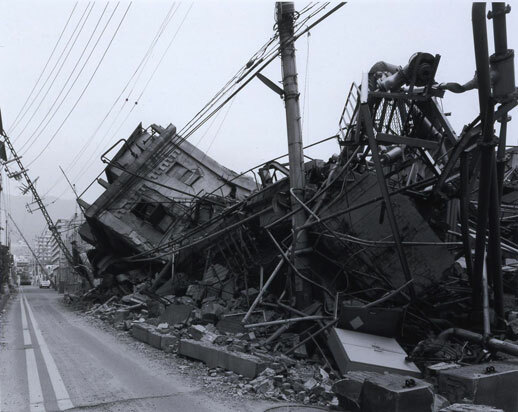 On July 28, 1976, the “Great” Tangshan Earthquake struck Tangshan, Hebei. This shock was believed to be the largest earthquake of the 20th century. The Chinese Government said that 655,000 people were killed, but latest research has believed that the toll was not as much, only 255,000, compared to the 655,000. The earthquake only lasted 10 seconds, but the magnetude made up for the short time. Seismographs recorded this earthquake as a 8.2 in some areas, a 2.2 Gigaton earthquake. The earthquake struck very early in the morning, when people were asleep. This left very little time to react to this earthquake. Tangshan was believed to be a region with very low risk of earthquakes, so the buildings were not to be made earthquake-proof. The earthquake was 4 miles long by 5 miles wide, leaving a massive area crumbled. The total damage was nearly 10 billion yuan, or $1.3 billion. You’ve gotten through all the boring stuff. Now comes the big one. This earthquake started in Shaanxi, China, and devestated an area over 520 miles! More than 20 meter deep crevices were made during this earthquake.More than 97 countries were shaken by this enourmous earthquake. A staggering 830,000 people died during this massive tremor. Over 60% of some country’s population were killed. The cost of this earthquake cannot be written in todays terms, becuase it is so large. This earthquake was only an 8 on the Richter Scale, only 1 Gigaton. The largest magnitude of an earthquake was a 9.5, a massive 178 Gigatons of power! That is over 1,000 atom bombs going off at the same time! The earthquake was the 1960 Valdivia Earthquake. The earthquake was felt in Valdivia, Chile and surrounding areas as far as Hawii. Over 435 miles of sea seperated Hawii and Chile. 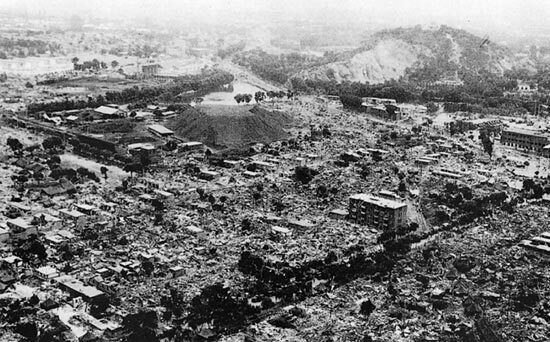 Only 6,000 died thankfully, even though this was the most powerful earthquake ever recorded. Less than $1 billion dollars worth of damage was done.